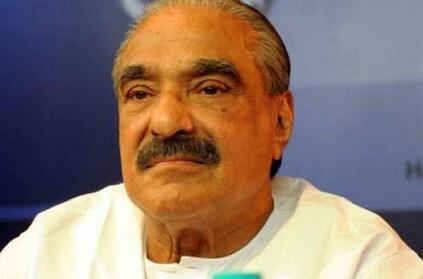 As a shock to the state, Kerala Congress veteran and former state Finance Minister K M Mani passed away after prolonged illness. He breathed his last in Kochi at the age of 86. According to Hindustan Times, Kerala Congress veteran was admitted to a hospital on Sunday due to respiratory ailments. He had been suffering from COPD (Chronic Obstructive pulmonary disease) for several years and had frequently been hospitalised for chest infection. He is survived by his wife, two daughter and son Jose K Mani, a Rajya Sabha member. Mani was a colossus in Kerala politics, he represented Pala constituency in Kottayam for almost five decades and also held the record of having presented the maximum number of budgets (13) in the Kerala Legislative Assembly as Finance Minister and also as the longest-serving member of Kerala Assembly. He also introduced many welfare activities. On hearing about the demise, Kerala Governor Justice Sathasivam and Chief Minister Pinarayi Vijayan condoled the death of the senior leader. "He was a good lawmaker was a role model for many in Kerala. His death will leave a vacuum in state politics” Vijayan said his condolence. Mani was also a lawyer and authored many books. 'டைமுக்கு எக்ஸாம் ஹாலுக்கு போயிடனும்’.. குதிரையில் பறந்த பள்ளி மாணவி.. வைரல் வீடியோ! 'பேப்பர் வாங்க கூட கஷ்டம்'...ஆனா 'ஐ.ஏ.எஸ்' ...தேசத்தையே திரும்பி பார்க்க வைத்த 'பழங்குடி பெண்! கல்யாண வீடா? லட்சுமி ஸ்டோர்ஸா? டி.வி. சீரியலை வைத்து பிரச்சாரம்! This page contains news relating to various facts and events. The views are generally about current affiars and general topics in diversified areas such as political, international, national, and regional issues, sports, health, travel, lifestyle, technology and business. People having similar interets on the above topics will find this page useful. Former Kerala Finance Minister K M Mani passes away at 86 | India News.